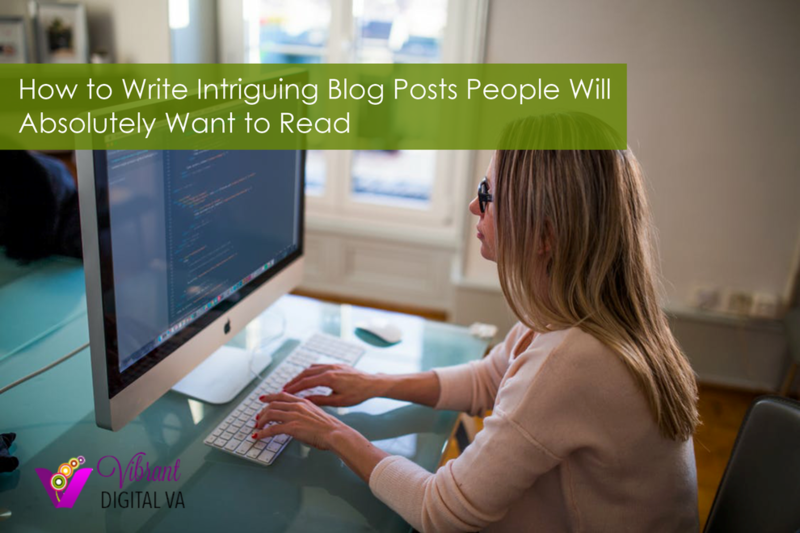 Writing a blog post that your target audience will want to read is challenging. As a matter of fact, 80% of web content is never read. (Copyblogger, 2014.) It takes time and effort to write a blog post; it is discouraging to think that no one will ever benefit from the enlightening information and perspective you have worked so diligently to provide your audience. The silver lining here is that while 80% of web content is never read, almost all web headlines are scanned and read. In the same study cited above, Copyblogger found that 80% of headline copy IS read. Clearly, as much time should be given to writing compelling headlines as to writing copy that people will want to read once the headline has pulled them in. Here are some tips on writing headlines and blog copy that will entice your audience to want to read your blog – and keep coming back for more! Clearly state the premise you want to convey to your audience. What is the key message you want them to take away? People love to read stories. Try to write your message in the form of a story if at all possible. 3. Start with an outline. Write an outline of what you want the copy to entail. Research and use statistics, data, evidence to ensure the credibility of the post. 5. Make the copy easy to scan. Break the content down into easily scannable sections with headings that give clues to the content of that section. I often find that my outline will help me determine the section headings I will use. 6. Use bullet points and numbered lists. Use bullet points and numbered lists if at all possible. Very few (if any) people will read your whole article word-for-word, but they will scan your post for words and topics that interest them. Headings, bullet points and numbered lists help them find what they are looking for. 7. Mind your p’s and q’s. It may seem obvious, but your copy needs to be free of spelling, grammatical, punctuation or typing errors. I encourage you to use a spelling/grammar checker and have someone else proofread your copy if at all possible. Unfortunately, writing errors discredit your work and interfere with the credibility of your content so it’s worth the time to check your work. 8. Make the copy easy to read. The whole point of a blog is to invite people to read and engage with you on a topic. Make sure you give people the opportunity to do so. 1. Make your headlines irresistible. The way to do this is by making an intriguing promise that they can’t resist. This is where your target audience research will help you – not every headline will appeal to everyone – make it appealing to your audience. 2. Study headlines that are proven to work. Look for headlines of popular articles or blog posts in your industry. What strategies did they employ that compelled people to read the article? 3. Take the time to refine your headlines. The best headlines are ones where the structure is most appropriate for the copy and are fine-tuned within the context of the writing. These tactics have been used by journalists for decades; they are a tried-and-true headline writing strategy. Using words like “some”, “most”, and “almost all” help you stay credible. If your headline sounds preposterous, they won’t bother reading because it doesn’t sound credible. I use the Headline Analyzer especially for blog posts and email subject lines. It is a great tool that helps you learn how to improve your headlines. Just remember that YOU know your audience better than an online app so don’t rely completely on the tool. This handout provides tips and resources for writing compelling blog posts. Blogging on a regular basis can be a challenge for busy business owners. If you would like help with your blogging - or any digital marketing service - please contact us. We'd love to help you out!